Sometimes the absence of an ambulance holds more meaning to the people of a place than anything else. After many years, the small town of Winder in district Lasbela, Balochistan is seeing some progress. Situated about 80 kilometres north-west of Karachi along the Regional Cooperation for Development (RCD) Highway, the town is a small outpost en route to the Dudher Zinc Project, part of the China Pakistan Economic Corridor. But there are complex emotions at play here. As other locals explain, the number of people routinely getting sick in Winder is increasing by the day. This begs the question: what is causing the number of cases to pile up? Winder lies in the southern part of the western fold belt of Pakistan, and geologically, it is composed mainly of sedimentary rocks of the Jurassic age (Ferozabad Group) and igneous rocks (Bela Ophiolites) of the Cretaceous age. 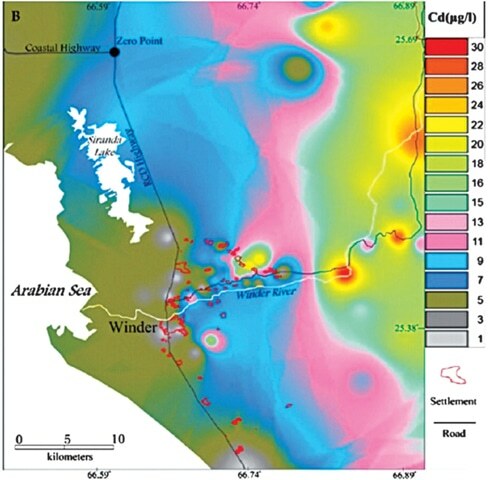 In simpler terms, the geography of the area is such that there are many lead-zinc ore deposits around Winder. But while Winder and its surroundings are rich in minerals (and heavy metals), there is a cost that locals are paying. Chronic diseases and geological environment have a close relationship. And as a number of serious studies have also concluded, there is a relationship between geological environment, potable water and diseases. In the case of Winder, the presence of cadmium in and around the rocks of the town has unleashed a medical crisis. Cadmium is a toxic trace element. It is found in most rocks in the region, as well as in coal and petroleum in very low concentrations, often in combination with zinc. Geological deposits of cadmium can serve as their sources to groundwater and surface water, especially when in contact with soft, acidic waters. There is no evidence indicating its essentiality to humans but, cadmium is toxic, even in extremely low levels. It accumulates especially in the kidneys and is a potent cause of cancer and cardiovascular diseases. Cadmium can cause cough, headaches and nausea followed by vomiting in low-dose intakes, while in large doses, accumulation in the liver and kidneys takes place. It can replace calcium in bones, which in turn, culminates in painful bone disorders, renal failure and is implicated in human hypertension. Chronic anaemia can also be caused by prolonged exposure to drinking water contaminated with cadmium. Elements are transported in water as either dissolved materials or integral parts of suspended sediments. However, dissolved materials in rivers or streams have the greatest potential of causing the most harmful effects. Subsequently, they may be stored in sediments of the riverbed or percolate into the subterranean water, thereby causing contamination of groundwater, especially wells. The degree and extent of contamination, however, will depend on the nearness of the well to the geological source. Water is life, hence, people must be concerned about the safety of their drinking water. When we first encountered disease in Winder, members of our team began assessing whether cadmium had seeped into groundwater, and whether that was possibly causing disease. The first phase of our research in Winder was carried out in 2014 and we discovered that the average range of cadmium in selected groundwater samples in Winder Town and its periphery was comparatively high and this was being consumed as potable water. Our analysed sample sites contained only 14.58 percent water safe for human consumption, in which cadmium value was 1 µg/l. The World Health Organisation (WHO) allows up to 3 µg/l (29.16 percent falls under the WHO range). About 60 percent samples, however, were observed to have higher cadmium level (more than 5 µg/l), among which some had very high content. Our colleagues concluded that the toxic risk of cadmium in groundwater was high as per calculated health hazard indices. And further, that the use of this water in terms of drinking, vegetable farming, livestock husbandry and fruit gardening may cause health problems and disorders among the inhabitants of the area. We decided to head to Winder once again, for a second phase of research, but this time to see what effect groundwater was having on cadmium-borne diseases. While the first research project involved measurable factors, this research needed one-to-one interactions to understand the story behind Winder’s water woes. We collected 48 groundwater samples at an average distance of one to two kilometres between the sampling sites. During this process, kidney-related diseases emerged as the major problem among inhabitants of Winder. The rural areas of Winder are characterised with backwardness and due to their poor quality of life, inhabitants are often unaware of water quality standards and are also oblivious to diseases caused by heavy metals, such as cadmium. The questionnaire we designed, therefore, was comprised of three sections: basic information, occurrence of diseases based on symptoms and quality of life. The study focused on the identification of behaviour and impact of selected trace elements on human health. Occupational structure was chosen as an economic indicator because it was considered essential in determining the level of social and economic status, as employment provides stability to families. Questions were open-ended as well as close-ended. Data was collected through interviewing patients during October 2013 to February 2014 through settlement-to-settlement field surveys. Sample sites revealed the highest concentration of cadmium (24.2-30.0 ppb – or parts per billion) to be in the north-eastern and south-eastern sector covering parts of all three geological areas of Bela Ophiolite, Sandy Tract Recent as well as Sub-recent Sandy Tract. The entire area is composed of lowest (1.0-6.8 ppb) and low (8.6-12.6 ppb) concentration of this harmful trace element. What’s more, most of the northerly settlements are located around excessive limit zone of cadmium in the study area. Therefore, about nine percent of patients suffering kidney-related diseases were reported in these settlements. What compounds matters is that while rural areas are characterised mainly by an agricultural economy and a leisurely way of life, it also shows battered women, high crude birth-rates, high unemployment, low incomes and poverty. This manifests in malnutrition and undernutrition. Given the integrated nature of the crisis at hand, we decided to divide our respondents by occupation. Within different age groups, 13 categories of respondents were identified. The highest numbers of respondents within the age group of 41 to 50 years were labourers. The lowest numbers of labourer respondents were in the age group 11 to 20, and 60 and above, as they included the children and the elderly. The largest number of housewives who responded to the questionnaire survey was within age group 31 to 40. Agricultural workers of all age groups also responded, but the highest response was observed among the age group 21 to 30 years. The educational level of respondents reveals that illiterate respondents were highest in all age groups. Some primary, matriculate and intermediate respondents in age groups 11 to 20, 21 to 30, 31 to 40, and 41 to 50 years were also found. Education is a serious problem in third world countries, having a repercussion on all aspects of life. Winder is no exception. The most direct measures of living standards, however, are income and consumption. There are various sources of cadmium accumulation in the human body among the residents of Winder, the most significant being water, while other sources include vegetables and fruits. Studies on fruits with reference to trace metals accumulation in the Winder area revealed normal concentration in pulps compared with that in twigs, but content was high compared with WHO standards. The consumption of local vegetables in Winder reveals that respondents of all age categories consume plenty of vegetables. However, the highest number of respondents who reported that their vegetable consumption was nil were in the age category 21 to 30. Two persons, each in age categories 21 to 30 and 31 to 40, responded that they ate vegetables only twice a month. This reveals the dire conditions of impoverishment and subsequent poor health conditions, as vegetables and their seeds are essential for maintaining good health through the provision of vitamins, minerals and fibre. But the case of cadmium-polluted groundwater and subsequent soil feeding is responsible for vulnerability in human health. In response to a question regarding proper washing of vegetables prior to cooking, a majority replied that they did not wash vegetables before consumption. All respondents except three in age groups 21 to 30 and 31 to 40 responded they just cleaned the vegetables by rubbing, which was due to problems of fetching water from great distances or some problems of inability, leading to neglect of hygiene. All other age groups revealed that they consumed most water while they were at work, especially those in the 31 to 40 years and 21 to 30 age groups. The habit of drinking water while eating was found to be common among villagers of all ages. Poverty, many explained, compelled them to ingest their bread with the help of water. About 3.87 percent residents, each in age categories 21 to 30 and 31 to 40, found the water to be substandard. Altogether, over two-thirds of respondents in age groups 21 to 30, 41 to 50, and 51 to 60 years either had no idea about the quality of water they were drinking or believed it was satisfactory. 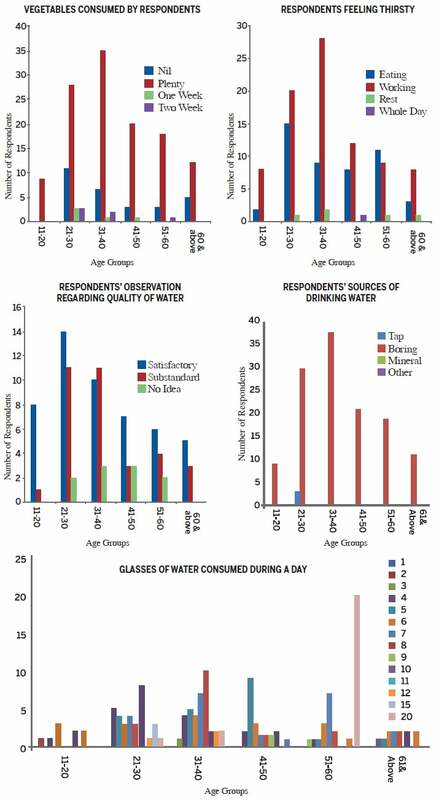 The taste of water revealed that most respondents in all age categories found the water saline. Some respondents from all age groups found their drinking water sweet, while a few in each age category found it tasteless. On average, people consumed eight to nine glasses of water every day, with the highest response being from people in the age groups 41 to 50 and 31 to 40. People in the 60 and above age group revealed very little water consumption because they felt that the more they drank, the greater would be the problem of urination and running to the toilet for urinating in their old age. The next most prominent emerging ailment is gastroenteritis, also in the 31 to 40 age bracket. Response to headaches stands out prominently in the age category 41 to 50. Asthma was reported by a few respondents in the 21 to 30, 51 to 60, and 60 plus age category. Joint problems also seem to be a major ailment as respondents of all age categories reported its occurrence. Kidney problems also highlighted impacts of cadmium in the study area because respondents were more prominently kidney patients among various age groups. There were 15 percent respondents who reported kidney-related diseases among joints, heart, asthma, gastro and as diabetic patients. The next prominent disease recorded by respondents was blood pressure and asthma. Night blindness was also reported by a few respondents of 31 to 40 and 60 plus age groups. Tuberculosis was also reported by a respondent in age group 31 to 40 years. Kidney problems were reported in all age categories, highest in the 31 to 40 and 51 to 60 years age bracket. This may be attributed to the occurrence of cadmium. According to respondents’ opinion regarding poor water quality, they revealed that the locally-obtained water did not quench their thirst; hence, less intake saved them from massive intake of cadmium and its accumulation in their blood streams. There are those who are still braving the diseases of Winder. But for many others, migration away from Winder to other parts of the province and/or country is the only option. In other words, their financial position disconnects them from cadmium accumulation in their blood streams and body. Even then, 15 percent of the total respondents were reported kidney patients. There is no doubt that all emergent efforts should be made to provide safe potable water to the inhabitants of Winder. And there are techniques to clean cadmium from water, some of which are already in use in Pakistan: reverse osmosis, chemical precipitation, foam separation, ion exchange, cementation, and chelating resins. But think of the larger picture. The case of Winder is about water contamination at the source and its impact on human health. Elsewhere in Pakistan, other water sources are also being contaminated at source. In Sindh, the Supreme Court-constituted Water Commission has already declared potable water unfit for consumption. Khairpur and Dadu, for example, already have a high instance of kidney diseases. The presence of arsenic in water can also be lethal. In its inorganic form, arsenic is highly toxic and long-term exposure to arsenic from drinking-water and food can cause cancer and skin lesions. Water that has been contaminated by arsenic often ends up being used for drinking, food preparation and irrigation of food crops. Essentially once water gets contaminated, and if it is not cleaned before consumption, there is an array of diseases and medical conditions that people can be exposed to. This phenomenon can also be gauged through the number of arsenic poisoning cases that are reported in public and private hospitals in various cities. Patients tend to present symptoms such as vomiting, abdominal pain and watery diarrhoea that contains blood. Those who have been exposed to arsenic for longer periods of time tend to complain of persistent abdominal pain, heart disease and even cancer. It follows, therefore, that whether in Winder or Lahore, in Karachi or Islamabad, the need to test groundwater to ensure that it is not contaminated is extremely pressing. Prevention is only possible by provision of a safe water supply. Citizens might not know how their food is being grown or in what conditions, but the food that they are consuming might well have been grown in contaminated water. 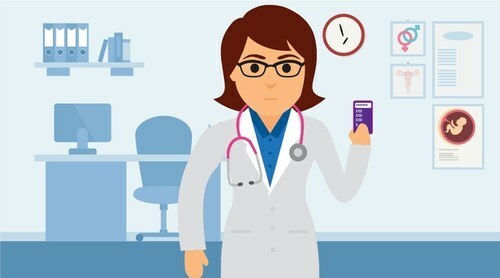 For our study, we have already approached a private hospital and higher education institutions to help us medically evaluate the impact of disease in Winder. 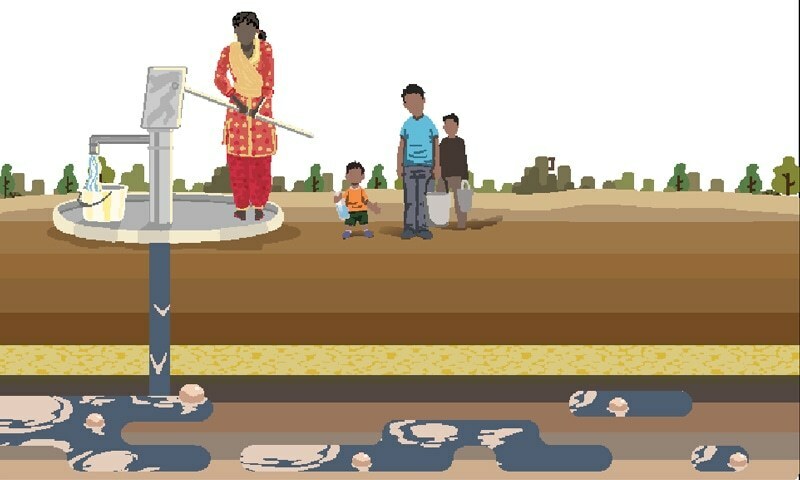 But there is a case to be made to test all places that show high incidence of disease to be tested along the same lines for how the pollutants in our groundwater might be responsible for our problems. Clean water availability for the people is one of the top pressing problems for the people of Pakistan. We should be aware of it and make comprehensive efforts to do something about it. This seems be a step forward in the right direction, we really need to step up for our people who are suffering and have limited knowledge of their rights. There is so much to fix and explore within the boundaries of this country. It's like trying to find life on other planets, while the oceans on Earth remain unexplored. To save themselves from using contaminated water,those who can afford bottled water buy it. Even piped water supplied to cities from water reservoirs can be contaminated,if pipes are rusted. Bottled water is a big business across the globe. Using hand pumps to draw water is a good exercise,and they are common in rural areas,as well urban areas. 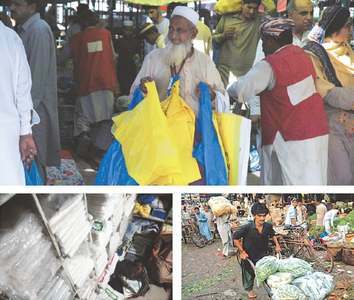 This government need to stay in power for at least 10 years with support of Pakistani people who want clean water and food and see see progress in Pakistan.